Stay warm this Winter by diving ‘DRY’! 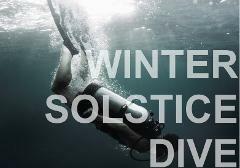 The Sunshine Coast Winter is by far the best time to dive! Why?… the ocean conditions always produce 15+ metres visibility, calm seas and blue sunny skies. The winter solstice is the day of the year that has the least daylight hours of any in the year and usually occurs between 20 and 22 June.